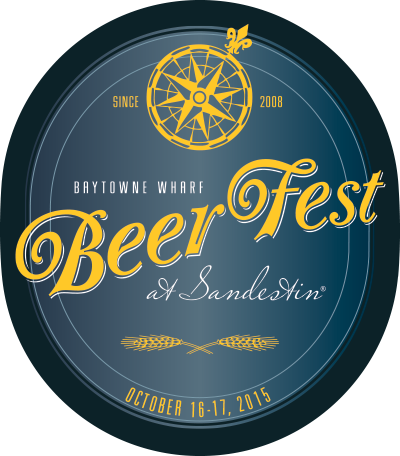 Miramar Beach, Fla. (Sept. 15, 2015) – Sandestin Golf and Beach Resort, the #1 resort on Florida’s Emerald Coast, and The Village of Baytowne Wharf announced plans today for the eighth annual Baytowne Beer Festival on Oct. 16-17. With the boom of interest in craft brewing, the Baytowne Wharf Beer Festival at Sandestin Golf and Beach Resort this fall promises to be more popular than ever. Known as the “Best Beer Fest on the Emerald Coast,” the festival will have opportunities to discover and sample specialty beers from around the country. The charming Village of Baytowne Wharf at Sandestin will be the perfect backdrop for fun-in-the-sun during the traditionally beautiful month of October. The Baytowne Beer Festival is the largest beer event in Northwest Florida. This year’s event will feature a wide range of beers varying in strength and style. From light pale ales and rich dark stouts to a number of bottled and yet-to-be-released fall beers – beer aficionados and novices will be able to savor the best in sudsy selections. The Saturday VIP event will feature exclusive beer tastings and BBQ from 12:30-2 p.m. This ticket is all inclusive for Saturday’s events and guests receive express entry into the grand tasting. Additional details will be released in the coming weeks. The Baytowne Beer Festival is a pitcher perfect reason for a South Walton getaway, and special discounted accommodation packages are available with savings of more than $50 which includes a pair of tickets to Saturday’s event. Enjoy the convenience of accommodations just steps away or a convenient complimentary tram ride away from the festival at Sandestin. Call 866.91.BEACH or visit sandestin.com/beer for pricing (mention code: BEER15). This entry was posted on September 16, 2015 by 850music in Posts and tagged press release.